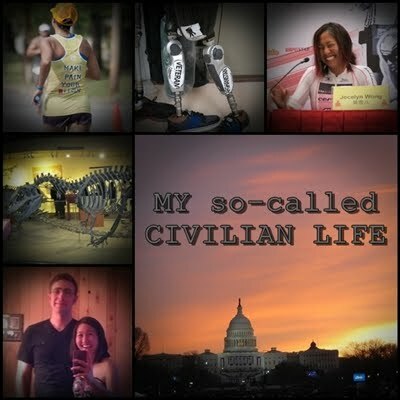 My so-called CIVILIAN LIFE: what's one or two years? what's one or two years? 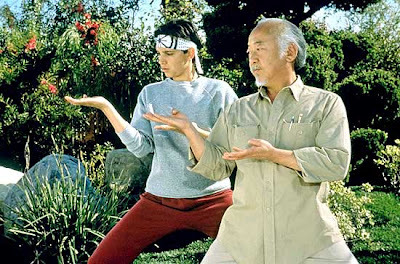 Another race walk lesson with Mr. Miyagi today. 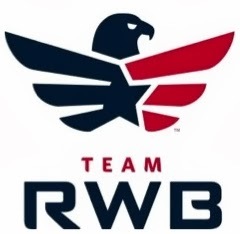 After a couple weeks of semi-interrupted training (trip home & Vegas, soon followed by New Puppy Exhaustion), I had to repeat the first week of my first RW training schedule but am back on track and progressing again. Shins are still sore and I'm told they will be like this for a bit until they get stronger and more flexible. I'm definitely no prodigy and making the Olympic Trials in July would take a miracle. Mr. Miyagi says it will be at least another one or two years until I'm a contender for the national team. On one hand, one or two years?! That's like forever! On the other hand...no, not really. I think most of the women competing at the elite level have been doing it since high school. I'm excited at the prospect of making it to the national level in one or two years. It took me 10 years of triathlon'ing before I went pro, and another 4 years of running before then. So one or two years? Not so bad eh? He says even if I have absolutely no talent, that if I work really hard, I can get good. Now where have I heard that before? This post was tending towards a rant on triathlon, but I'm gonna have to cut it short as me and Christmas Puppy wore each other out today, and she decided it's already time for bed. Suffice it to say, my friends and those closest to me have always said (regarding my decision to move on from triathlon) that I didn't have to explain myself. So I know I don't have to, but I still find myself needing to get my thoughts down as part of the moving-on process. Sure, I could spend another one or two years trying to rehab my knee and get back into pro triathlon. I just don't have the interest or motivation to any more. I've seen what I could do when I was able to train full time, and I know what it would take to get to a certain level. I gave myself 4 years of prioritizing that dream and put myself in a financial (and mental) hole that I've only begun to dig myself out of. I don't have the money, the time, or the interest in that any more. Or, I can take that one or two years and do something new and exciting. Make a national team, go to World Cup events and try to get to the 2016 Olympics, or at the very least the USA Olympic Trials. While holding down a full-time job that I enjoy and have time to do fun things with a sherpa and Christmas Puppy. Operation T-Net is in full effect here, folks. magic ice cream koi fish, part 1: DELETED. Copryright 2011 the Wongstar all rights reserved and stuff!. Picture Window theme. Theme images by fpm. Powered by Blogger.